Located between the Lake District National Park (north), Yorkshire Dales National Park (north-east) and the moors of the Forest of Bowland (south-east), Lancaster (pop. 45,000) is a laid-back town with a long history. The city was founded in Roman times and owns its name from its river, the Lune, and its Roman castrum (fortifications). Lancaster was the traditional county town of Lancashire, although the county council has now moved to Preston. Lancaster played an important role in the slave trade in the 18th century, along with Bristol and Liverpool, and most of the city's architecture is indeed Georgian. The main attraction in town is Lancaster Castle. Built in 1150 on the remains of the ancient Roman fortifications, it was the property of the Duke of Lancaster. The second Duke was the well-known John of Gaunt. When he died in 1399, King Richard II seized the casle for the crown, but was anyhow deposed by John of Gaunt's son, who became King Henry IV of the House of Lancaster (see History of England). The castle has been the position of the British monarchs ever since. The castle has served as a prison since 1196, and the dungeon is still off-limits to visitors for this reason. The castle was also the place of trial of the Pendle Witches in 1612, which condemned 10 men and women to death and hanged in the Well Tower for alleged witchcraft. Also note the adjacent Priory Church of St Mary. There are a few noteworthy museums in town, the Maritime Museum (open Easter-Oct 11am to 5pm, Nov-Easter 12:30pm to 4pm; £2), the City Museum (open 10am to 5pm, closed Sun; free), the Judges' Lodging (housing the Childhood Museum : open Mon-Sat 2 to 5pm, and also 10:30am to 1pm on weekdays from July to Sept.; £2) and the Cottage Museum (open Apr-Sept 2-5pm; £1). 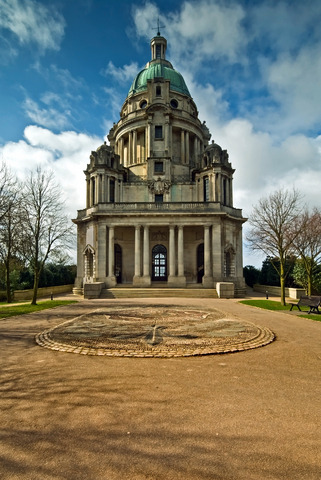 Lancaster is also a good base to visit Morecambe or Heysham, a few kilometres west, and which are both within the boudaries of the City of Lancaster. Lancaster is located on the M6 motorway (Birmingham-Glasgow) about 80km north of Liverpool. Trains run between Lancaster and London Euston (3h, saver single £59.40), Birmingham (2h, £35), Manchester (1h10min, £11.30), Kendal (20min, £6.30), Carlisle (1h, £19.65), and Edinburgh (2h30min, £33). National Express has direct buses to London (7h15min, £24), Manchester (1h30min, £6.40), Liverpool (1h40min, £6.90), Carlisle (1h40min, £14.80) and Glasgow (3h45min, £19.80).